Last month, we ran the MovNat Snacks Challenge on our Facebook and Instagram pages, which was a huge success. This idea of “snacking” on movement throughout the day resonated with so many people! So, what is a MovNat or Movement Snack? It’s simply fitting some natural movement into your every day life, wherever you happen to be, and whatever you happen to be doing. It could be holding a deep squat while you brush your teeth, or balanced walking on a curb instead of merely walking on the sidewalk. It could be squeezing in a 2 minute MovNat Combo while you’re waiting for the bus or doing some Ground Movement while you watch TV. It could also simply be paying more attention to how you execute the movements you already do: your walking technique and sitting positions; your breathing while working and the way you shift your weight as you transition in and out of the car. So, it’s not necessarily a full practice session or workout. It’s a little “snack” you can enjoy anytime, anywhere – that fits seamlessly into your everyday life. And they cite many other benefits, including reduced aches and pains and improved confidence, among others. Here at MovNat, we have been preaching this idea of “movement snacks” for years – that there is great value in moving not only frequently, but also in a variety of ways. So, it’s very reassuring to see a mainstream publication picking up on the idea. But we take it a step further in that while movement – any movement – is better than little or no movement, the best option is to make sure that your movement is not only frequent, but also practical, adaptable, and efficient. “The silver bullet you need is the one that shoots dead the perception that “a little movement is good for you (especially if ‘science-based’).” Let me reverse-engineer this idea: The truth is that “very little movement is terrible for you,” and very little movement is dipyridamole onlineof your daily life. A lot of movement is your default biological duty. If you approach Natural Movement in the conventional three-times-a-week way, you are still specializing in the sense that for the majority of time, your physical behavior remains very limited movement. An unspecialized approach means that your practice is not limited to the “special” moment of practice that must take place at a certain time or place or with particular clothing or gear. Not all movements are “exercise,” but you can turn every movement into a practice, as well as add many movements to your practice throughout the day. Don’t just ask yourself how many times a week you should exercise; instead ask how many times a day you should practice movement. Photo courtesy of Treino Gaia. The beauty of Natural Movement lies in the fact that your drive to become better will be so strong that you will stop looking at the clock, you might want to stop counting repetitions, and, last but not least, you might want to prolong your movement sessions rather than shrink and expedite them. Rather than avoiding extra exercise, you will be seizing every opportunity you can find to practice extra movement. You will devise strategies to create opportunities for practice. You will brush your teeth in a Deep Squat, work on your laptop while kneeling, read a book while sitting on the floor, tiptoe when you wait in line, practice position and breathing while sitting, walk or jump up the stairs rather than choosing escalators, hang from that tree branch for a few seconds every time you walk under one, and so on. You will fall in love with movement again, and you will want to move all the time. You are not switching to a different body or becoming a different person the moment you stop exercising. Your activity may change, but the person you are and the biology that is alive in you won’t change. Just like anything else that you do, movement exercise is not solely something you do; it’s an expression of who you are. Experiencing and manifesting who you are is never compartmentalized; it’s an uninterrupted process. The you who is exercising and the you who is physically inactive are the same person. The more you realize this continuum, the more the illusion of a separation between the different activities and occupations in your life becomes clear. Only the activities differ; the person is the same. 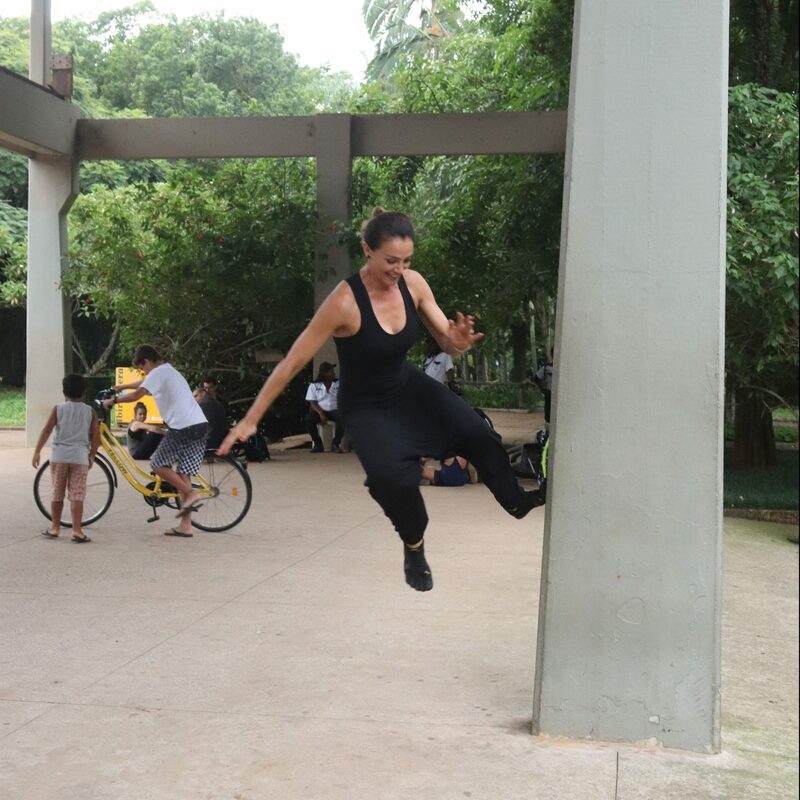 Depart from your physically idle self and reunite with the physically live one by reconnecting with the original, diverse Natural Movement behaviors all humans once practiced.” – Erwan Le Corre, from his book, The Practice of Natural Movement. If you live a mostly sedentary lifestyle, some movement snacks can go a long way toward improving your health, fitness, and quality of life. So, if you’re just getting started, it may be better do something five times for two minutes at a time throughout the day rather than one big ten-minute “workout.” On the other hand, if you train or practice Natural Movement regularly, adding some more MovNat snacks to your everyday life will help you get even better results. But regardless of who you are or what your level of training is, it’s generally a good idea to spend a certain amount of time daily – fifteen minutes, for instance, just moving. If possible, practice more than once a day. Even a few minutes devoted to short sessions throughout the day is great, and that arrangement—which for many people is most feasible on weekends—might be more beneficial than a single hour-long session in one day. The key is that you don’t make this “exercise for the sake of exercise.” Rather, focus on mindful, skillful movement that is practical, adaptable, and efficient. Reoccupy and reawaken your body. 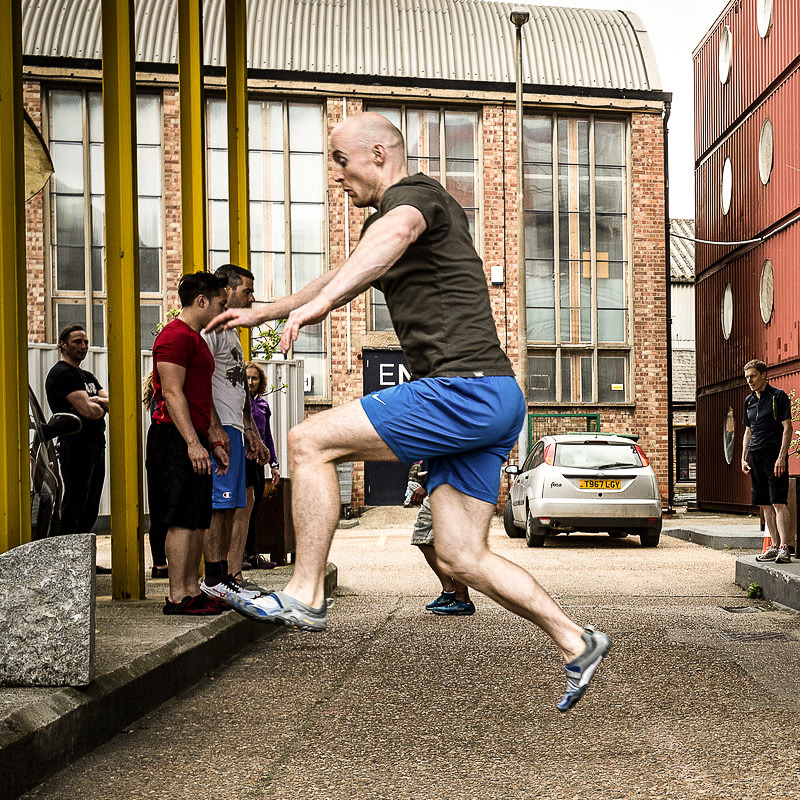 Feel free and happy to move without judgment or a preconceived idea of how much movement you should do. 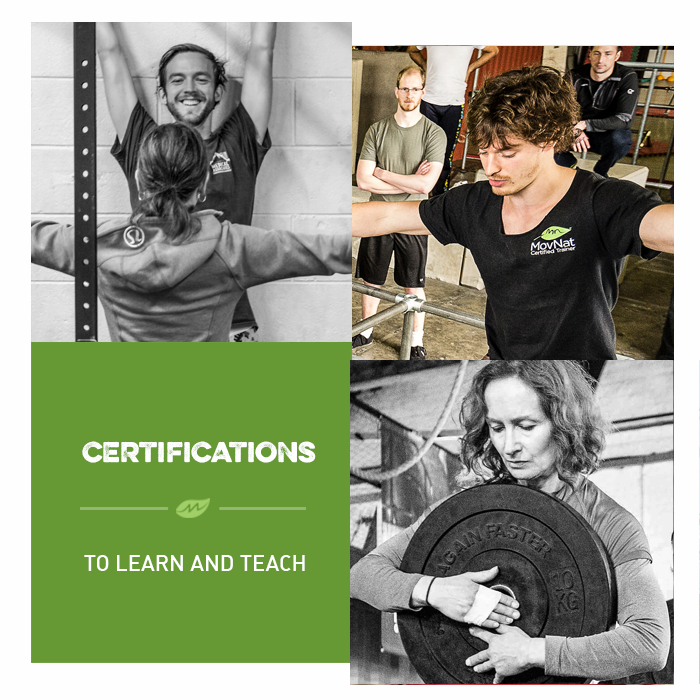 If you’d like to learn how to fill your everyday life with practical, adaptable, efficient movement, join us for a MovNat Level 1 Certification or a MovNat Workshop. We hold events all around the world. Or, find a MovNat Certified Trainer or Gym in your area. We also offer MovNat Online Coaching as an alternative to live instruction.